No opening date has yet been set by Metro. At the absolute earliest, it would be in November but more work has to be done. Dear Expo Line. Thank you for the vision to building such a great mass transit system in LOS AGELES…Its NEEDED!! I’m currently communing at least once a week from south Los Angeles (# 754) to Santa Monica (#720) and honestly public transportation has improved a lot….congratulations! I am wondering what bus lines will be available for me to commute from the Expo Line/culver city transit hub to Cloverfield /Olympic near the Santa Monica DMV (also a business oriented center/area with 6 buildings hosting over 5000 employees) other than the current line servicing Venice? You’re in luck! Santa Monica’s Big Blue Bus will be changing service on its Line 5 to make that exact connection. When Expo Phase I opens, Line 5 will travel between the Culver City Venice/Robertson station and downtown Santa Monica primarily via Olympic Blvd. and Colorado Avenue. It looks like it will cross Cloverfield right at Colorado Avenue. For the full details of the new route, check out page 79 of this PDF document. 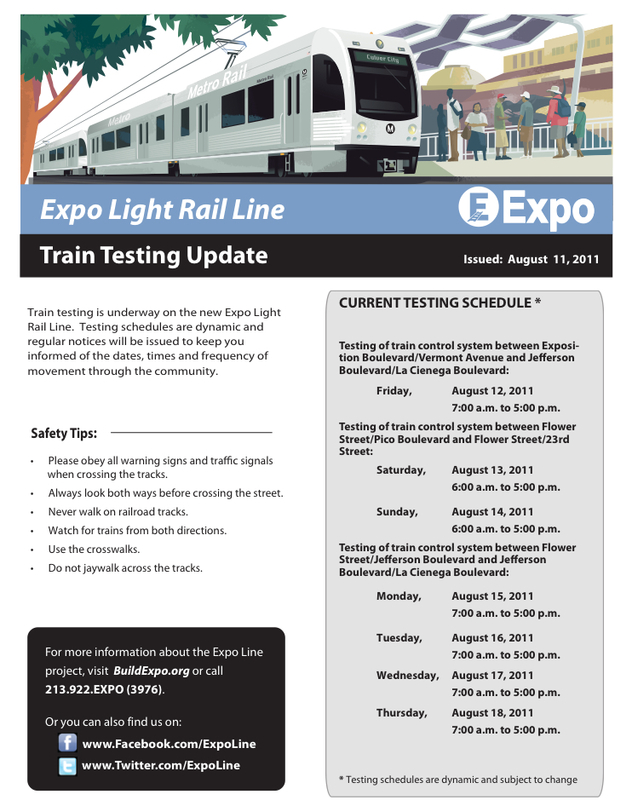 Hope that helps, and let us know what you think of the service when Expo Phase I opens. A lot of work was happening today at the La Cienega station today. Looks like the final touches are going on for the station. The parking structure still has some work to be done but, I think its in the final stages too.